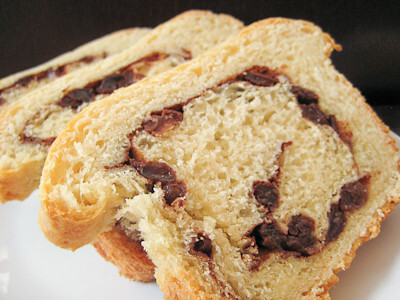 This week's Tuesdays with Dorie (TWD) recipe was chosen by Susan of Food.Baby: Raisin Swirl Bread. I love cinnamon raisin bread! In fact, my go-to recipe is this brown sugar raisin bread recipe. So, I was excited to try this recipe out and see how it compared. Unfortunately I let my dough warm up too much after taking it out of the refrigerator so I had a terribly hard time rolling up my dough. Thankfully this did not affect the taste, but it did make for a not-so-pretty swirl. If you want to see a perfectly swirled loaf, you'll have to visit Susan's blog (the host for this week). The only optional spice that I added was the cocoa, at the recommendation of another baker. I was truly surprised that I could not taste the cocoa at all, it simply enhanced the cinnamon flavor. Despite this, I think this recipe was lacking in the cinnamon department. If you're going to make a raisin bread, it's got to have a nice strong cinnamon flavor to it! Even though I could probably double (or triple) the amount of cinnamon in this recipe next time, I think my go-to recipe is still going to be the brown sugar raisin bread I've made in the past. That bread is so good! I do have to say, however, that I made the sugar-crusted french toast recipe that Dorie includes with this, and it was fantastic! It will probably be my go-to french toast recipe from now on :) Just make sure you let your french toast brown long enough on each side in order to allow the sugar to caramelize properly. I'd recommend maybe 4-5 minutes on each side instead of 3 minutes like Dorie suggests. Thanks Susan, for hosting this week. I've included Dorie's french toast recipe below, but if you would like the recipe for the raisin swirl bread, you can find it here. 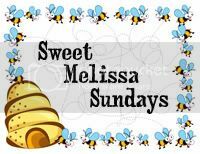 Make sure you check out the TWD Blogroll, to see how everyone else enjoyed this sweet, cinnamon-y treat! 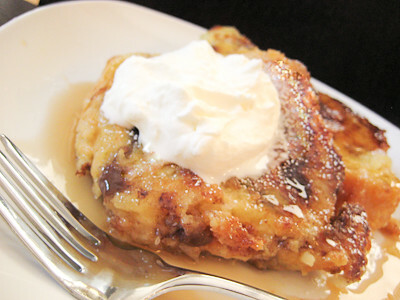 - I would recommend doubling or even tripling the amount of cinnamon in this recipe. 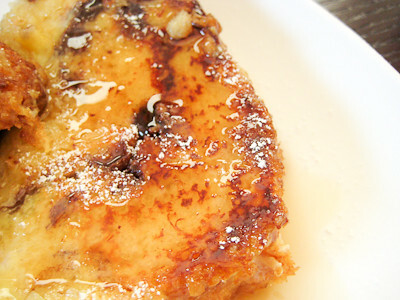 - This bread is definitely much better the next day, and even better as french toast! - Wrapped airtight, this loaf will keep in the freezer for up to 2 months. When the bread is ready, put two large nonstick skillets over medium heat, add 3 tablespoons butter to each one and melt the butter. Sprinkle each skillet with 2 tablespoons of sugar and put 3 slices of soaked bread in each one. Cook until the bread is golden brown on the bottom, about 3 minutes (I'd recommend leaving them for 4-5 minutes). Sprinkle the tops of the bread with sugar--again, using 2 tablespoons sugar for each skillet--and carefully flip the slices over. Add more butter to the pans if needed, and cook for another 3 minutes, or until the undersides are also golden brown. Serve the toast immediately with fruit, syrup, creme fraiche or jam, or with all of them. Ooh, delicious looking French toast. I made cinnamon rolls (which worked great), but am really wanting a slice of that bread! your pictures make me want to grab a slice of my loaf and make french toast now!! oh wow--that french toast looks amazing! What a great idea to turn this into french toast! Looks amazing! Holy cow this looks great! I love the idea of this being french toast! Thanks! I'm only recently becoming a fan of raisins in my baked goods. I'm now loving them! That said, I think chocolate chips might be a good sub. I'm just saying! Oh man, I really wish I'd made the french toast now... I prefer my go-to raisin bread over this one too but it sounds like the french toast may have been just the thing to do with this loaf :) Oh well, next time. Great job, yours looks awesome! The french toast looks fantastic. It was on my list, but the bread disappeared before I could make it. While I type this, the rain is pouring down outside. this would be such a wonderful warm start to a day though!! 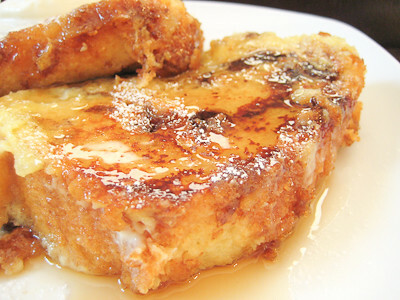 The french toast looks really tempting! I like the idea of brown sugar in the swirl, so I'll have to bookmark your other recipe. What a way to kick up this week's TWD selection a few notches. Looks incredible. Oh wow this looks delicious, my dad would love this for fathers day! Agreed, it wasn't overly cinnamony or sweet. All the better for french toasting I imagine. Yours looks delicious, Jaime. Ooh great idea converting it into french toast! !